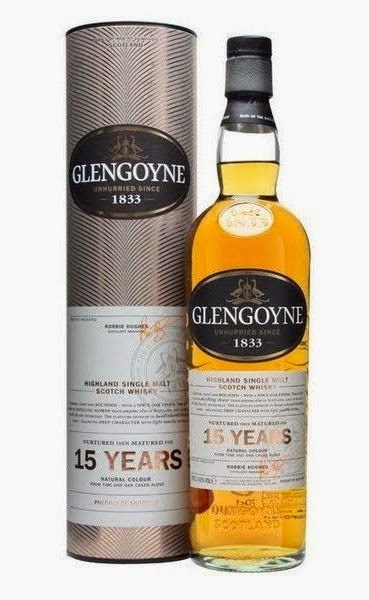 A real classic Glengoyne, and a real classic whisky in general. With a mix of bourbon and 1st fill sherry casks (and probably some refill casks as well) it gives of notes of vanilla, lemon and fruits. After a while in the glass I got caramel, burned sugar and cake. The taste is very good, round and rich in flavors. Wood (but not very burned), dried apricots, raisins, honey and pastry. The taste just lingers off, and becomes a nice and easy finish. A bit higher ABV, perhaps 46 %, would have made the finish a bit longer, and better, in my opinion. A bit of water does this whisky easier for the nose. The taste is somewhat the same, but it lets the sweeter notes become more prominent. A great everyday dram, and I give this whisky 86/100 (21/22/21/22).